The most popular time of year to visit Europe is without a doubt Spring, Summer and Fall, the warmer months of the year, with cities becoming more scarce of tourists in the colder winter months. However winter can also be an excellent time to visit not only for smaller crowds and cheaper rates but also because of all of the glorious festive Christmas markets. In December I had the great opportunity to travel with Viking River Cruises through Europe on their Romantic Danube tour. Beginning in Nuremberg, Germany we cruised down the Danube River from Germany through to Vienna, Austria, and finally finishing in Budapest, Hungary with a bunch of other great stops along the way. Being that it was Christmas season each little town and city that we visited was in full holiday mode with Christmas markets everywhere. For eight days I was “Christmas marketing” at every chance I got. Having this experience and also previously visiting Christmas markets in other parts of Europe I have now put together a quick little guide of my best tips for visiting European Christmas Markets. A great plan when going to a Christmas market is to make sure you give yourself a lot of time so that you can first browse, see the different things that are being offered, check out the prices and then still have enough time to come back and buy the things you want. Also although the markets can seem pretty similar from city to city there will always be different things at each one and if you see something you love buy right then and don’t just hope/plan that they will have it at the next market. Some market stalls do have credit and debit machines but to be safe make sure you take cash with you, it will also make things quicker. Also the people that work at the stalls know the best things to buy but can also give you tips on the traditional items, their meanings and things that would make great souvenirs. A good example of this would be the Nuremburg Prune people. They are kind of ugly/silly looking and had I not asked about them and known what they were I probably would of just kept on walking past them. However I stopped and asked and learned all about them and how they were made by a father for his children, he didn’t have much money for Christmas so he made them toys out of prunes and dates and they have since become a tradition popular with many locals so much so that there were several booths and that was the only item that they sold. Be it day or not it can be chilly outside in the winter months as you peruse the Christmas markets and many don’t have any indoor areas to stay warm so make sure that you dress for the weather. 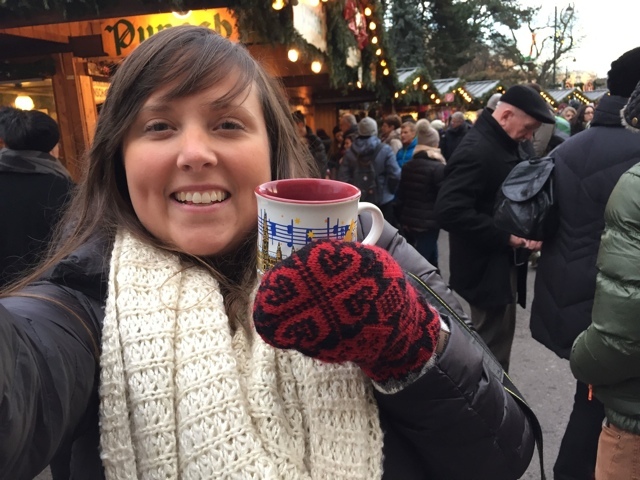 Another great way to stay warm is of course to enjoy a mug or two or three of Glühwein. A traditional German and Austrian drink made of mulled hot wine and spices gives you tasty Glühwein. Without a doubt for me this is the perfect way to stay warm while browsing the markets on a cool winters day. If Glühwein isn’t your thing most places also have hot chocolate and in Germany their version of eggnog known as Eierpunsch (tastes way different than the North American version of eggnog though and is a lot more “alcohol-ey”) and there is of course also Punsch similar to a mulled wine but also has a bunch of citrus fruits mixed in with it, yum. This one might be obvious but it is without a doubt the most important tip that I can give you. 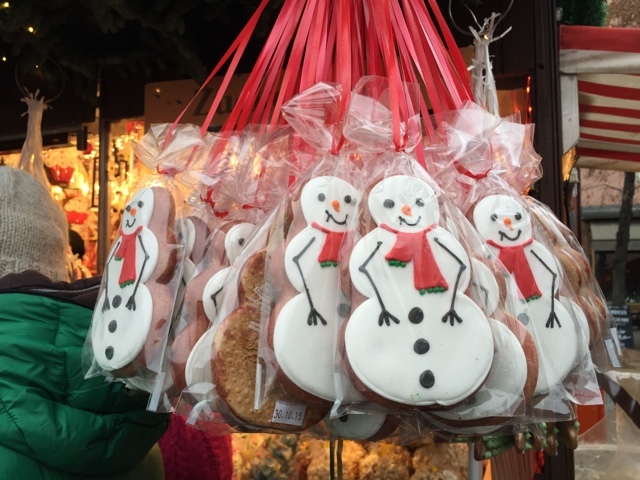 From 1/2 meter long sausages to traditional gingerbread, schneballen dough balls, Hungarian Kürtőskalács (chimney cake), gynormous pretzels covered in everything from swiss cheese to chocolates and sprinkles you must eat everything you see. You won’t regret it, and after all you are on holidays so you are allowed a little over indulgence right? Gingerbreads and fancy chocolates also make great presents to bring back home to friends and family to give them a taste of your travels. 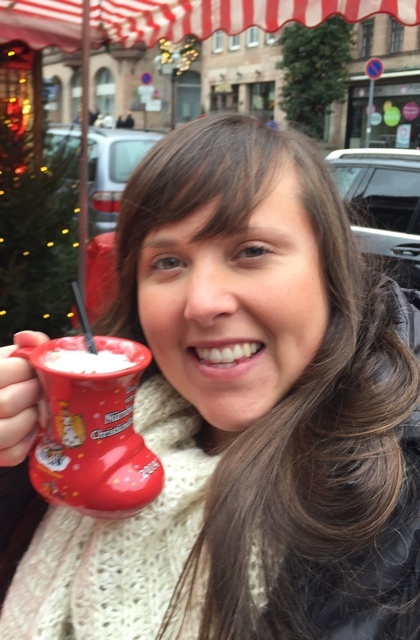 To learn more about exploring the Christmas markets of Europe watch my newest video. Are there any tips that I forgot? 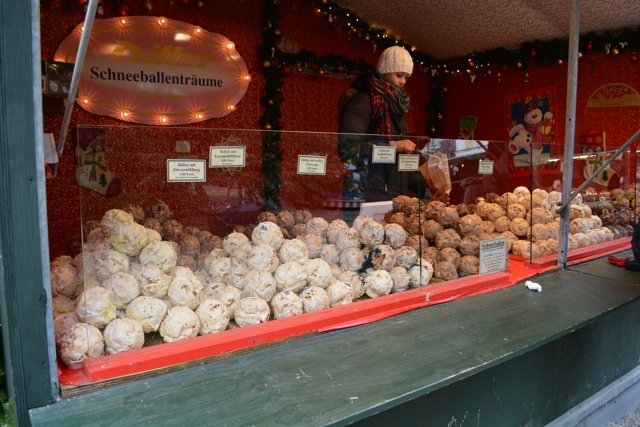 What else would you recommend that people see, do and eat when traveling around to the Christmas markets of Europe? Special thanks to Viking River Cruises for having me on this wonderful cruise. As always all opinions and views expressed are my own. 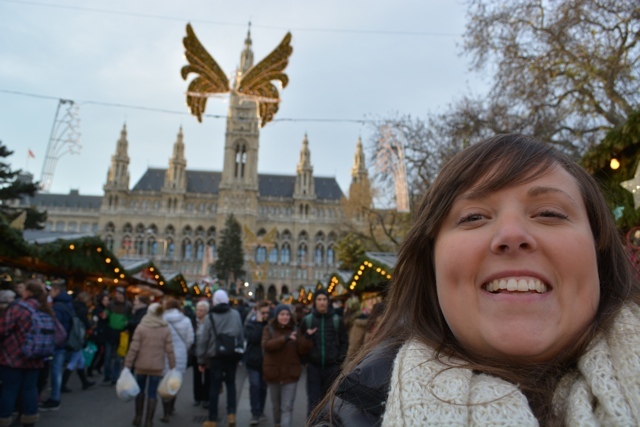 Christmas in Europe is quite possibly my favorite thing ever! All the markets and lights and London is just so beautiful, it feels like walking through a Christmas dream! these are beautiful photos! Thank you so much for the tips! Christmas markets are one of the most visible tradition of the central European region , created in the Late Middle Ages in the German-speaking part of Central Europe. The Vienna “December market” which dates back to 1294, was one of the earliest recorded examples of such a market. Most market open up with the beginning of Advent, 4 weeks before Christmas, and usher in the Christmas season. The focal point of these markets are the traditional Nativity Scene with their depiction of the birth of Jesus in the manger, surrounded by stall that sell things rustic hand made Christmas decorations , dried fruit and mulled wine to cast off the cold. Our family is joining more family overseas and hitting the following Cities in Dec: Vienna, Budapest, Prague and Berlin. We have rented apts in each city and will have 5-8 days in ea. Just have a few questions! How crowded is it? My guess is very crowded on weekends. Are all the booths open during the day? I was wondering about credit card use and so I do appreciate your comments about that! We have our 3 kids coming (15, 14 and 10) so my guess is there’s plenty to keep them interested and entertained? any other tips would be great! Thanks for the comment and questions! It sounds like you have an awesome trip planned! You are correct in saying that the markets will definitely be busiest on the weekends however the Christmas Markets will be open everyday, almost all day long. I would recommend going to them in the day time and in the nighttime for two different experiences. Perhaps for shopping by day and by night for food and just to enjoy the atmosphere. I have seen booths that sell gifts and decorations accepting credit cards, but I can’t guarantee that they all do. However the food booths most likely won’t as they are trying to sell things as fast as possible. I definitely recommend having some cash on hand. Find out if your bank has a partner bank in the countries you are going to and you might be able to find a local bank that is connected to yours so that you have less fees when getting cash out at the ATMs. There are lots of things to keep the kids interested. They even have mulled wine type drinks that are non-alcoholic. In Berlin there are also carnival rides and big slides, etc. for the kids to keep them entertained. I am sure there are things like that in the other cities as well. Nuremberg has a whole kids area. Make sure you dress warm and drink all of the mulled wine / gluhwein it’s so tasty! 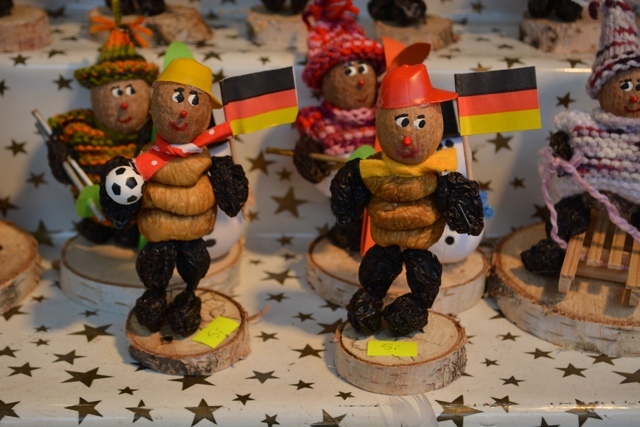 Christmas Markets in Germany are definitely on my bucket list … thanks for the motivation! – interesting conversations with locals behind the booths- talk to people! Yeah Alexis you are totally right! I mentioned most of those in the post and video :) Thanks for sharing your tips! I enjoyed reading your post and bringing back good memories of that trip, Cailin!